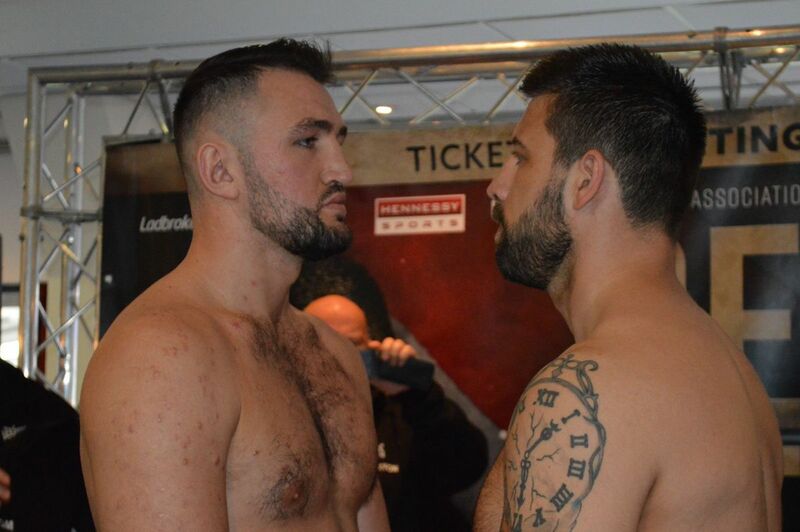 Hughie Fury weighed in a healthy 232lb ahead of Saturday’s British title clash with champion Sam Sexton at the Macron Stadium, Bolton. The challenger (20-1-KO10) tipped the scales two pounds lighter than he did ahead of his controversial world title defeat to Joseph Parker in September and three pounds lighter than Sexton. Fury said: “Some people try and play mind games and get under each other’s skin and sometimes it can work but I’m not really interested in it. I only care about what happens in the ring. “It’s crazy what a defeat can do you. It makes you that bit more hungry and I want to get back up to that top as soon as possible. You’ll see a different performance and a different fighter. Many of the headlines from the weigh-in will go to Fury’s gym-mate McDonagh, who was in typically outrageous mood as he strutted through a series of costume changes. 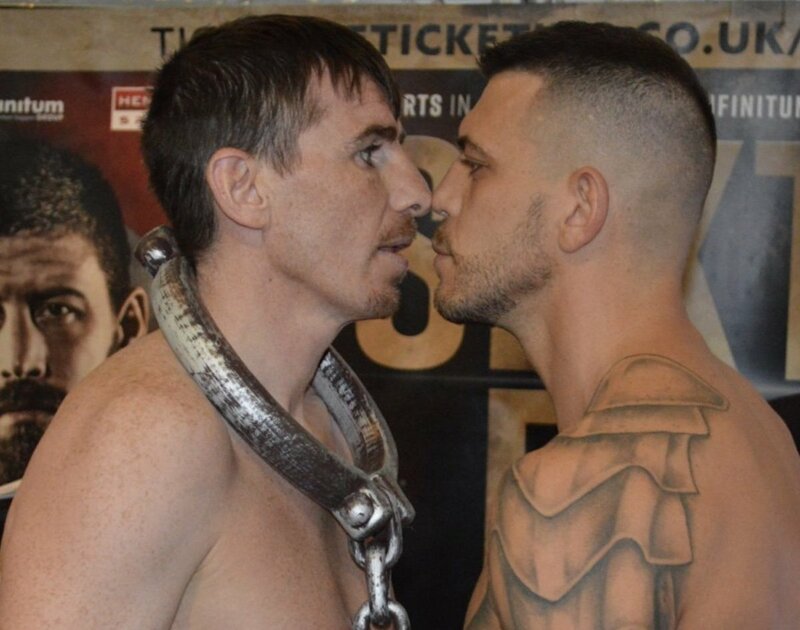 ‘The Connamera Kid’ is returning from an eight-month ban against the unbeaten Peter Kramer and wore shackles and chains for a fiery face-off. McDonagh said: “You’ve got to add a bit of razzmatazz. This is show business. I’m not just a boxer. I’m an entertainer. exclusively live on Channel 5 from 9pm, with the undercard live on 5Spike from 7.30pm. 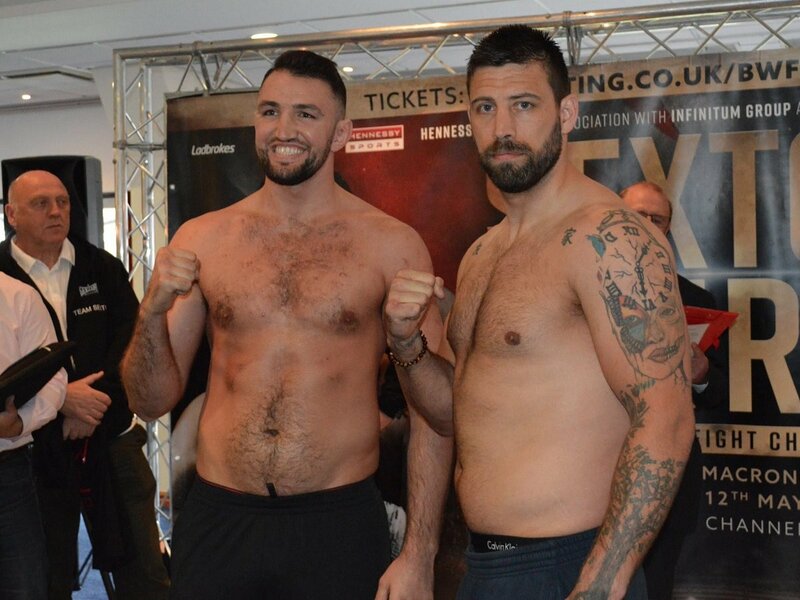 Norwich puncher Sexton weighed in at 16st 11lbs (235lbs) whilst Bolton star Fury scaled slightly lighter at 16st 8lbs (232lbs). 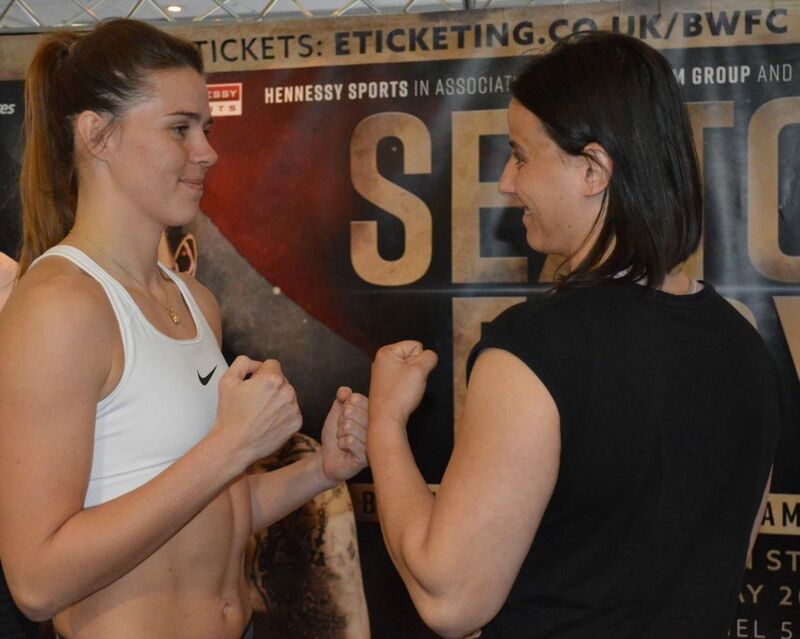 Two-time Olympian and 2012 World Amateur Champion Savannah Marshall weighed 11st 9lb 4oz (163lbs 4oz) and her opponent, Ester Konecna, came in spot on 12st (168lbs) for their eight-round contest. Irish three-weight Chamion Peter McDonagh weighed in at 10st 13lbs (153lbs) and his opponent Peter Kramer from Hungary came in at 11st 1lb 2oz (155lb 2oz) for their eight round super-welterweight contest. Hot young unbeaten prospect Yusuf Safa weighed 9st 2lbs 4oz (124lbs 4oz) and Jose Aguilar from Spain came in at 9st 8oz (126lbs 8oz) for their eight-round super-featherweight contest. The remaining boxers on the show will weigh-in tomorrow.